The New Room Community Choir meet weekly during term-times on a Wednesday lunchtime 12.15 – 1pm. No auditions, no need to read music – everyone is welcome! Just £2 per rehearsal. You are able to pay for a term or pay as you go. All monies go to support the work of the choir. Please email Kate community@newroombristol.org.uk for further information. You are welcome to join at any time and it’s free! 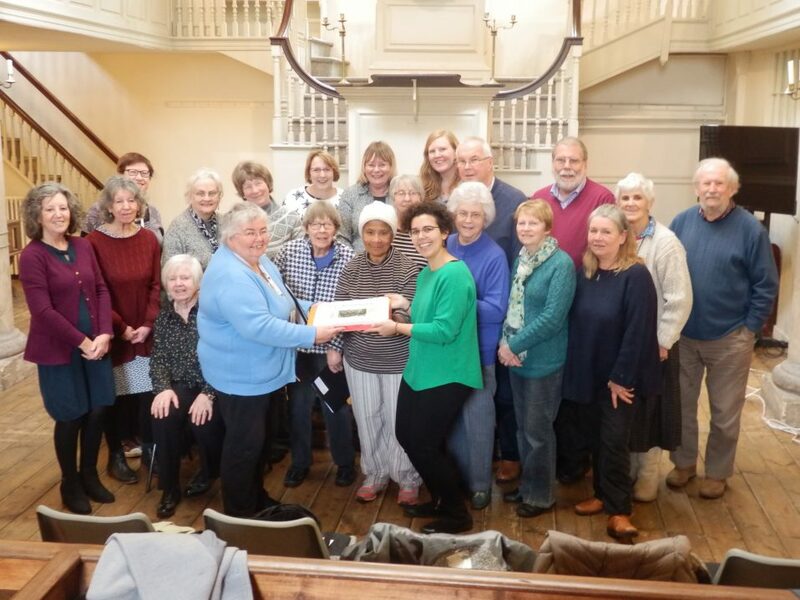 With a varied repertoire of pop, folk, rock, jazz, blues and gospel, and open to requests for your favourite tunes, the New Room Community Choir hopes to bring people together through singing. For Meg and Judit, our choir leaders, the idea of the New Room Choir is to create a relaxed space to enjoy singing together and have fun learning new songs. The next term runs from Wednesday 24 April to Wednesday 26 June 2019. We will have a break on Wednesday 29 May.